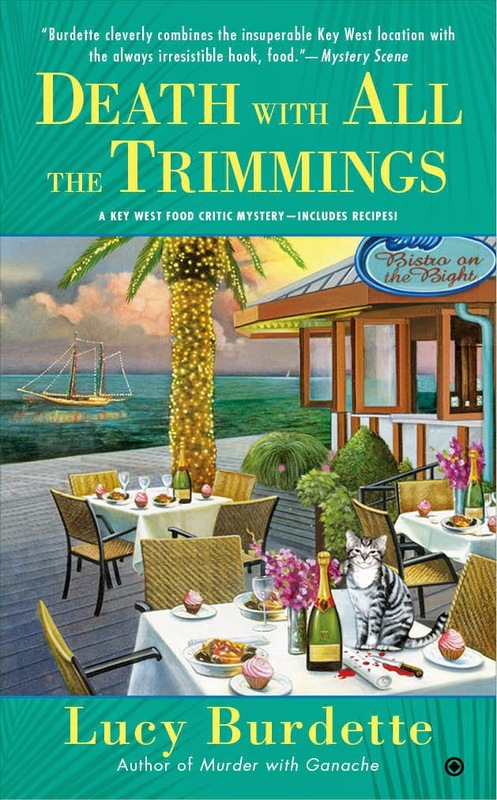 LUCY BURDETTE: Because the Key West pink shrimp are so outstanding down here, I am always looking for a chance to use them. 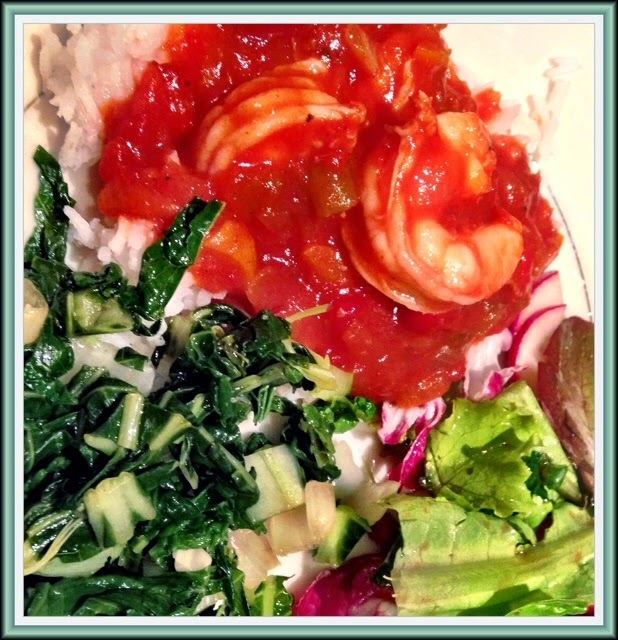 Years ago, I used to make a version of shrimp creole, but that recipe is long gone. Here's a version that is not too time-consuming, can be made ahead, and serves 6-8 dinner guests happily. Or six, with leftovers for the next day. Add the onions and sauté for about 10 minutes. Add the bell pepper, celery, and creole seasoning and sauté for another 15 minutes. Stir in the tomatoes, garlic and bay leaves and simmer for 30 - 40 minutes, stirring frequently. Add the stock and sugar; bring to a boil stirring frequently. Reduce the heat to med-low, and simmer for another 20 minutes, continuing to stir. Just before you are ready to serve, add the shrimp and simmer for about 2 to 5 minutes stirring frequently. The shrimp should be bright pink but not rubbery. Serve over rice with a green vegetable or salad. DEATH WITH ALL THE TRIMMINGS is here now! The Key West shrimp look yummy. Why can't I find them here in Boca? Do you guys refuse to let them travel that short distance north? 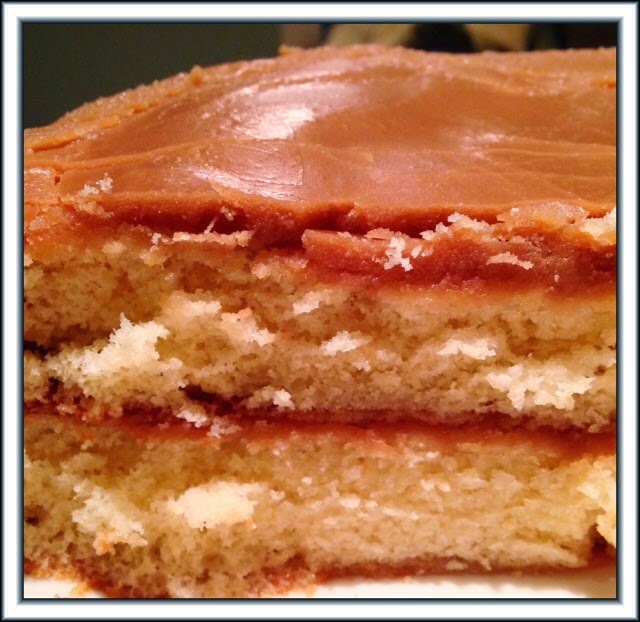 Yes, sweet, spicy shrimp and caramel cake! A Valentine's Day dinner to remember. Especially if you are doing the cooking!!! That cake looks too good to be true! I wish we could get decent shrimp here. Your pink shrimp look delish! That Shrimp Creole looks so good! Yum!